Torah is not a Sacred Book. I know that we are taught that Torah is the most sacred of books. We are taught that the scroll is painstakingly handwritten. It takes a year and must be copied from a previously written scroll. But that is just the physical representation of Torah and they never taught us that. They never taught us that Torah is not a Sacred Book, it is a Sacred Process. We read the stories in translation without ever knowing that all translation is commentary and that if we break the ספר (sefer = book) barrier and learn to read in Hebrew, then we too could be intimate with Torah and intimately involved in our own Sacred Process. We read in Genesis 1:1-3: “In the Beginning G created the Heavens and the Earth and the Earth was formless and void and darkness was on the face of the deep. And the spirit of G hovered over the face of the water. And G said: ‘let there be light’ and there was light.” And we were not moved. If only someone had sat with us in the study hall and helped us put the Hebrew words together like a puzzle, a spiritual puzzle, we would have discovered the genesis of the mystery of creation, of life, of everything. We would have been on the beginnings of a path to our own personal philosophy of life. 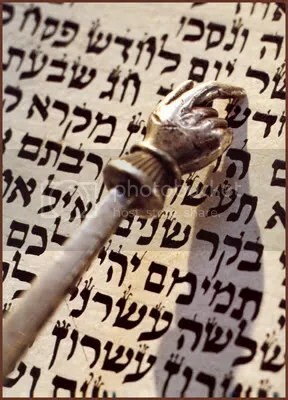 My own translation/commentary, the one that I created to delve deeper into my soul using the Sacred Process called Torah goes like this: “By means of firstness did G create. Heavens and earth (the concept) still formless and void was (only) a deep darkness. The Spirit of G vibrated inside the ooze (of creation). G emanated enlightenment and so it was.” This is not the ‘right’ translation or the only translation; it is the one that bubbled up in me. I used the Hebrew text of Torah and the Jastrow dictionary and my soul’s yearning. It is a simple translation/commentary, my own interpretation. G, who always was, always will be and is always in the moment began by beginning and that was the first act of creation. It was followed by the conception of creation, G making space for all that would be. This is not my new thought though it is certainly my own way of expressing it. The Ari, Reb Yitzhak Luria referred to this concept as Tzimtzum, contraction. Then G caused movement in primeval ooze and creation could become physical, tangible. But physical creation is not enough. So G emanated light, not the light from the lamp or from the sun but a deeper light, the light of enlightenment, as we sing in Psalm 97 “Ohr Zarua…” It is the light unseen but sought after by those who seek sacred wisdom. It is there for us all and sometimes we feel its light, its warmth and we realize that in all our parts and paths, we are one with the Source of one. 3 short verses, the first 3 verses of the Torah process and worlds open up and a light shines forth. They shoulda taught this to us in Sunday School.